Alexander Martinez is now the Pioneer League's record holder for most saves in a season after he earned his 19th by closing out the Grand Junction Rockies 3-2 win win over the Orem Owlz Tuesday night at Suplizio Field. Despite retiring the first two batters of the ninth inning with ground outs, Martinez had to work hard for the final out. Connor Fitzsimons and David Clawson singled, Griffin Barnes reached on an error, allowing the Owlz second run of the night to score and advance the tying run to third base. Martinez was able to finish the Owlz off by getting Justin Jones on a broken bat slow roller to third thanks to a nice play by Hunter Stovall, improving the Rockies to 22-14 in the second half, 42-32 overall. Before Martinez in the ninth, the Rockies bullpen quartet of Rayne Supple, Jesse Stinnett, Colton Harlow, and Jake Bird held the Owlz to one run over five innings after Ryan Rolison started the night with three hitless innings. 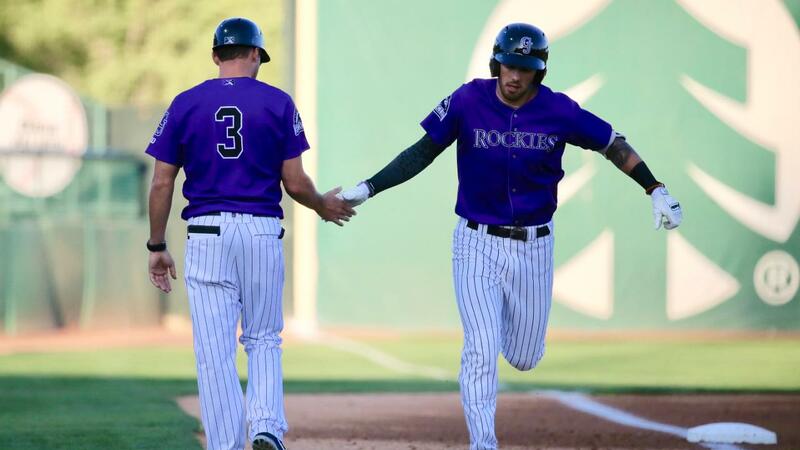 The Rockies took the lead when Coco Montes doubled in the first inning and scored on a balk, and they added to the lead in the third when Montes scored from third when Javier Guevara grounded into a double play. John Cresto started the fourth inning with a double off the top of the left field wall and scored when Cristopher reached reached on a sacrifice bunt thanks to an Orem error. The Rockies won despite finishing with just five hits as they close the home portion of their 2018 schedule 23-15. The win keeps the Rockies in sole possession of first place in the South Division, and they could clinch a playoff spot with a win Wednesday night when they open a season-ending 2-game series at UCCU Ballpark in Orem. The first pitch is set for 6:35.